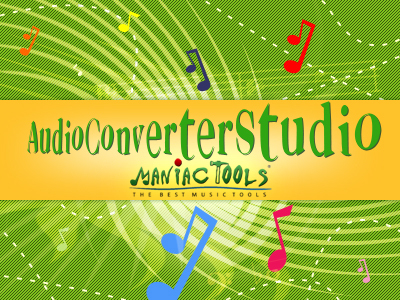 AudioConverter Studio is an easy-to-use workshop which gives you full control over quality and format of your audio files. It contains powerful converter tool that supports many common audio formats with an option to convert from one to another. There is also a ripper tool that allows you to rip your favorite Audio CDs, producing files of any supported format. The program reads and writes ID3 tags (ID3v1 and ID3v2) of MP3, WMA, OGG, FLAC, and MPC files. When ripping an Audio CD, it fetches artist, title, album data from CDDB (from Internet), so you don't need to type it in manually. It also uses CD Text data, if available, and writes the information into output audio files. You'll find your music supplied with nice and useful ID3 tags, and it will cost you not a single additional click. AudioConverter Studio starts in Wizard mode. It will guide you through the process of converting. Alternatively it is possible to convert in normal mode. Here you get more flexibility, but more complexity as well. You can rip your favorite Audio CDs either in Wizard mode, or just by switching to "Audio CD" tab. Options menu provides all necessary settings.